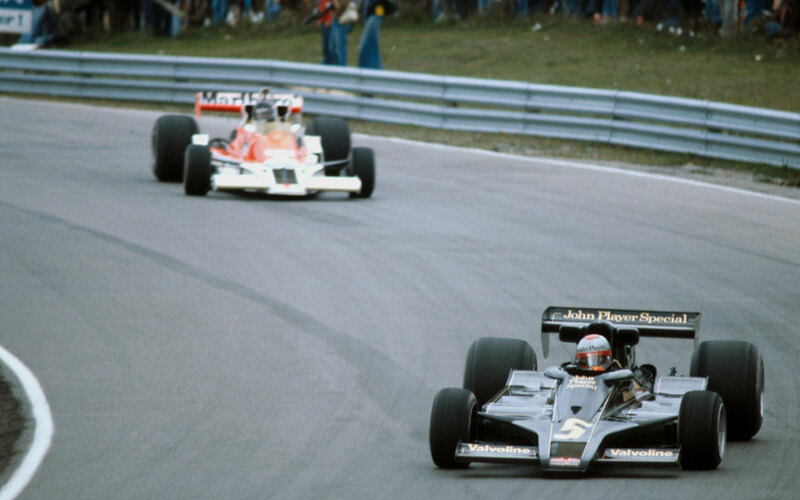 Jody Scheckter won the Canadian Grand Prix, but with the world title secured by Niki Lauda seven days earlier, it was a hollow victory, especially given Lauda's absence at Mosport Park. Lauda's acrimonious relationship with Ferrari -which had culminated with Enzo Ferrari firing his trusted mechanic hours before the US Grand Prix a week earlier - meant that he was not prepared to drive again now that the championship was wrapped up. To the delight of the home crowd, that opened the door for Gilles Villeneuve to make his first appearance for the team he would become synonymous with. As a result, there was a sense of anticlimax around the whole weekend. Qualifying was only notable for Ian Ashley crashing his airborne Hesketh into scaffolding; he was trapped in the wreck for 45 minutes and was eventually flown to hospital with broken legs and wrists. He did not race in F1 again. Mario Andretti took pole from James Hunt, with an all-Swedish second row of Ronnie Peterson and Gunnar Nilsson behind them. Ferrari failed to find the right set-up and Carlos Reutemann and Villeneuve languished down the field. Andretti immediately took the lead and made untroubled progress. He led for 76 of the 78 laps, aside from a brief interlude on the 60th lap, only for his engine to pack in and allow Scheckter to take the win. Patrick Depailler brought his six-wheel Tyrrell home in second despite feeling very groggy from fumes from his leaking engine. Hunt, meanwhile, again found himself at odds with another driver, this time his team-mate Jochen Mass. On the 61st lap Hunt collided with Mass, and while Mass went on to take third, Hunt was eliminated. He stood by the side of the track angrily gesticulating at Mass each time he passed. When a marshal tried to usher Hunt away from the side of the track he was felled by a right hook to the chin. Hunt was fined $2000 for the punch and $750 for returning to the pits by walking along the side of the track. Scheckter's win was an excuse for Canadian celebrations. Team owner Walter Wolf was a Canadian citizen and the car sported the maple leaf logo. There was less to cheer about as far as the enthusiastic Villeneuve was concerned as he was the last of the 12 finishers after spinning off several times.